The Hahnemann Academy of North America in Santa Fe, New Mexico, with Robin Murphy as director, is currently doing clinical research with the LM potencies and water solutions. Application of the principles found in the 6th edition of Organon are used in chronic and acute cases and this information is being evaluated in a fair and objective manner at the HANA. It is encouraging to observe experienced homeopaths learning a "new" concept in Homeopathy that has been around since 1842. In Hahnemanns own words "I have now after eighteen months of work, finished the 6th edition of my Organon, the most nearly perfect of all." (6th edition Organon preface and footnote 132, paragraph 246.) How many practitioners have read, questioned and understood the 6th edition or compared the changes of the 6th to the 5th. It is erroneous to believe one has to abandon everything previously learned in homeopathy to practice according to the 6th edition. 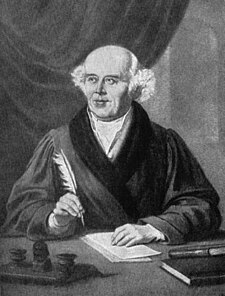 A homeopath should be learned in all aspects of administering a remedy and be willing to explore further into the areas where Hahnemann boldly took the first step. Homeopathy as we know it today may be vastly different if Kent had the opportunity to read the 6th edition. Why is this great work, the Organon, the foundation of homeopathy, largely dismissed by the Homeopathic community? It is emphasized in the 6th edition that the dry dose is the weakest dose. Yes, the remedy works as a dry dose (either single dose or repeated) but the question arises, does it work better in a water solution? For those who wish to give the "one dose high" try putting the 200, 1m or 10m into a liquid solution and succuss 8-10 times before giving the dose and if the need arise to repeat the remedy, succuss the bottle 8-10 more times before the next dose. This follows main principles of the 6th edition Organon, though the one dose high does not follow the criteria for daily repetition of the dose. The LM potency itself is yet another dilution utilizing these principles. "Experience has shown me, as it has no doubt also shown to most of my followers, that it is most useful in diseases of any magnitude (not excepting even the most acute, and still more so in the half-acute, in the tedious and most tedious) to give to the patient the powerful homeopathic pellet or pellets only in solution, and this solution in divided doses. In this way we give the medicine, dissolved in 7-20 tablespoons (4-8 oz.) of water without any addition, in acute and very acute diseases every 6, 4 or 2 hours; Where the danger is urgent, even every hour or half hour a tablespoon at a time; with weak persons or children, only a small part of a tablespoonful (1 or 2 teaspoonfuls ) may be given as a dose. In chronic disease I have found it best to give a dose (e.g., a spoonful) of a solution of the suitable medicine at least every 2 days, more usually every day. Before proceeding, it is important to observe, that our vital principle cannot well bear that the same unchanged dose of medicine be given twice in succession, much less more frequently to a patient. For by this the good effect of the former dose of medicine is either neutralized in part, or new symptoms proper to the medicine, symptoms which have not been present in the disease, appear, impeding the cure. Thus even a well selected homeopathic remedy produces ill effects and attains it purpose imperfectly or not at all. Thence comes the many contradictions of homeopathic physicians with regard to the repetition of the doses. But in taking one and the same medicine repeatedly (which is indispensable to secure the cure of a serious, chronic disease), if the dose is in every case varied and modified in its degree of dynamization, then the vital force of the patient will calmly, and as it were willingly receive even at brief intervals very many times in succession with the best results, every time increasing the well being of the patient." This information was given after the 5th edition Organon was written and before the 6th written in 1842. Hahnemann at this time does not mention the LM potency, and the above paragraphs refer to the C potency, though he was probably experimenting with the LM potency in the water solution but not yet ready to release the information. The following is a handout explaining the procedure of using the remedy in a water solution and guidelines for dose adjustment irregardless of how the remedy was made or what potency it is. There have been consistent excellent results in administering the remedy in liquid form and by succussing the remedy between each dose. Refer to the 6th edition Organon (Boericke translation) footnote 133 (paragraph 247) and paragraph 248, footnote 134, and Chronic Diseases 1837 preface in back of book. The body seems to accept the remedy more readily without aggravation, resulting in a gentle, rapid and permanent restoration of health. Additional information is available on LM potencies and water solutions from taped lectures. How to make a REMEDY SOLUTION BOTTLE : This applies to X, C or LM potency. There are some differences in preparation so read carefully. FILL A CLEAN AMBER BOTTLE with distilled or purified water ( no tap water except in emergency). For a X or C potency, 1/2 oz. dropper bottle to 4 oz. bottle may be used. For a LM potency, a 4 oz. bottle of water is recommended. ADD 10% PURE ETHYL ALCOHOL (190 PROOF EVERCLEAR). not methyl or rubbing alcohol! If Everclear is not available, use the highest proof, least smelly and colorless alcohol possible. When you store the solution, at least 20% alcohol is necessary. The longer you store the solution, the greater amount of alcohol is needed. PUT ONE DOSE of the indicated remedy into the bottle and allow to dissolve. X or C potency, 1 dose = twelve to fifteen #10 poppy seed size pellets or one or two #35 size pellet or two to four drops of liquid . LM potency, 1 dose = one (or rarely two) #10 poppy-seed size pellet. Unit doses from Dolisos are #20, and Multidose tubes are #40. More is not better! You may crush a pellet in clean white paper and take a portion. The quantity of pellets used and the amount of liquid used can and does influence the action and intensity of the remedy. This is a different philosophy than believing 1 pellet is the same as 15 pellets. Label the bottle with the date, name, potency and origin of the remedy. SUCCUSSING THE REMEDY SOLUTION BOTTLE : For one succussion, hold the bottle in your right hand and strike the bottom of the bottle smartly against the palm of the left hand (or soft bound leather book) from a distance of nearly 2 feet. This changes the potency of the dose slightly so the body accepts it more readily with less aggravation working faster, deeper and with a more gentle effect. 2 - 5 succussions for infants and children and hypersensitive persons ,for those that are allergic, elderly and weak or persons with severe pathological tissue change or on allopathic drugs. The C or X potency may be succussed and taken directly from the bottle or with a dosage cup. Using a dosage cup is helpful for those with allergies or history of reaction with remedies. Using a dosage cup is especially helpful for those sensitive to alcohol. The Lm potency may NOT be taken directly from the remedy solution bottle, It is necessary to make a dosage cup with the LM potency. How to make a DOSAGE CUP : LM POTENCY: Use a 7-8 oz. disposable recyclable plastic or paper cup filled with 4 oz. of distilled water. Take 1-2 teaspoon (3 teaspoons only if necessary ) from the 4oz. remedy solution bottle and put it in 4 oz. of distilled water. Stir vigorously with a plastic spoon or disposable stick and take 1 teaspoon from the dosage cup as one dose. Sensitives may stir less times and less vigorously. For C or X, Use 4 drops from the dropper bottle into 4oz. of water and stir vigorously. One Dose = 1 TEASPOON from the Dosage cup. The remainder of the water may be used to water your plants. A new dosage cup in fresh water should be prepared every time a dose is needed. You may keep the same cup and stirrer to be used again for the same remedy in the same potency. Do not use one cup or stirrer for any other remedy. 1 teaspoon, 1-3 times daily taken directly from the 4oz. remedy solution bottle. If using a small dropper, 4 drops as 1 dose may be used. or you may make a dosage cup and follow dosage amounts as for the LM potency. 1/2 - 1 Teaspoon for older children and adolescence, allergic and sensitives, the elderly and weak, those with severe pathological tissue change or on allopathic drugs. 1 - 2 TEASPOON FOR THE AVERAGE PERSON, or as needed. YOU MAY TAKE 1 DOSE 1 TIME PER DAY OR EVERY OTHER DAY. ADJUST AS NEEDED. Succuss the remedy solution bottle 2 times. Use the 2nd, 3rd, or more dosage cups SENSITIVE PERSONS: Use a larger amount of water (8-20 oz.) in the remedy solution bottle with one #10 pellet. Succuss the remedy solution bottle 2 times, take 1 teaspoon of this solution and put it in a cup filled with 4oz. of distilled water, stir vigorously. Take 1/2 teaspoon of this first dilution, and put in a second cup with 4oz. of water. Stir vigorously again, and take 1/2 teaspoon of this solution as your dose. You may make as many dosage cups as needed. Take one dose 1 or 2 times a week Slowly increase frequency as needed. In emergency cases, you may repeat the remedy every 5 minutes to 1 hour, or as needed. THE FIRST DOSE MAY BE GIVEN DRY ON THE TONGUE. This will give you a few moments to find a cup or bottle and water for the next dose. We find LM/1 to be effective with rapid repetition of the dose in a remedy solution bottle and dosage cup. Do not allow the case to relapse. Go to LM/2 when indicated. There should be a quick response in an emergency, depending on severity and how life threatening. 30c and 200c are also used in the remedy solution bottle. There should be remedy solution bottles in the glove compartment of the car and with your first aid kit for emergencies and acutes. DOSE MAY BE 1-3 times daily of 30c, 200c or lm1. Most effective in a water solution, with succussions between each dose. ADJUST AS NEEDED. For X or C, 1 teaspoon, 1-3 times daily, direct from a remedy solution bottle, or with a dosage cup. You may also take 2-4 drops from a dropper bottle. Always adjust as needed, either more or less. Don't forget to succuss before each dose. For LM, 1 teaspoon every day or every other day, from the dosage cup. Adjust as needed. It is better to start slow and increase the dose as needed, than to take too much too fast. As you go up in potency, give the remedy less frequent. Fill a disposable plastic or paper cup with 4 oz. of water ( distilled if available ). Put 1 dose of the remedy in water. Stir vigorously with a disposable plastic spoon or stick. You may keep the cup and stirrer to be used again for the same remedy in the same potency. Do not use the cup or stirrer for any other remedy. 1 teaspoon of this solution is one dose. Leftover remedy water may be used to water your house plants. A new solution in fresh water should be prepared every time a dose is needed. (Unless in emergency situation where you are repeating the remedy very frequently.) You may want to stir more times ( ADD 10 or more STIRS ) before each dose so as to change the potency slightly. It is better at this point to go to a remedy solution bottle. You may take one teaspoon out of the first cup, put it in a second cup with 4oz. of water, stir vigorously and take one teaspoon as your dose. This second cup dilution may be used for sensitive people, or to change slightly the potency of a remedy.